A Fiberscope is basically a remote visual inspection device. It’s a flexible fiber optic bundle that has a lens at one end and an eyepiece on the other end. A Fiberscope can be bent around corners and go much further than a rigid scope. Fiberscopes come with probes that have different lengths, diameters, and functions. The probes typically have tips that are articulated in two or possibly four different directions. This gives them a better ability to maneuver. Fiberscopes come in a variety of high-resolution scopes that are robust and flexible. This allows those with different budgets and applications to be able to use them. Some Fiberscopes are packed densely and have twice as many imaging fibers than other scopes. This makes for much better image quality and a more precise inspection which can be used in different areas such as inside a turbine or tank or deep inside of a wall. Some Fiberscopes are specifically designed as well. They can be designed to hold up against harsh industrial environments. They can also be oil and waterproof and stand the test of wear and tear. Many can be easily connected to different sources of lights and cameras. What are Fiberscopes Used For? Fiberscopes are used to perform remote visual inspections. The inspections are done on the interior of certain areas which are not usually visible. They are also used to inspect the condition of equipment and industrial systems without being destructive. They can also inspect manufactured parts for their quality level. Law enforcement and security teams use Fiberscopes to check for contraband while gathering intelligence and making people safer. 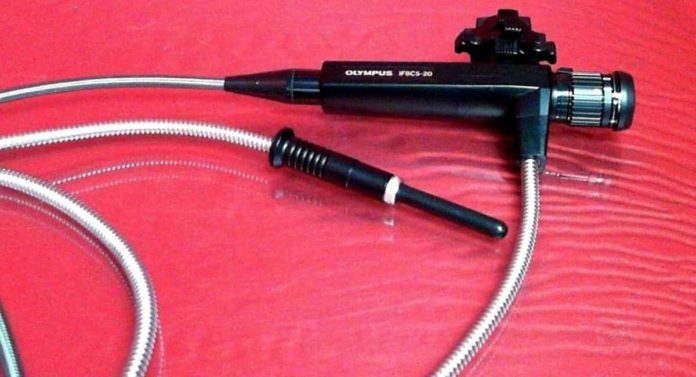 Some common types of Fiberscope inspection are things like surgical and medical and impellers. They also inspect gearboxes, turbine blades, and internal combustion engines. Some other inspections they are used for are on welds, cast parts, and manufactured or machined parts. The technology involved with Fiberscopes consists of several factors. Factors such as a Coherent Image Guide. The resolution or image quality depends on the number of pixels the scope has in its image guide. Think of it like this, the larger the diameter the more pixels it contains. There is also a Leached Fiber Optic Image Guide. This will give you greater flexibility. Keep in mind you can only get a Fiberscope with the Leached Fiber Optic Image Guide if it’s smaller than 2.4mm. Next is the Quartz Fiber Optic Image Guide. What this means is the Fiberscope can transmit ultraviolet light. These are typically the smaller versions of a Fiberscope. To round out the technology are CCD Cameras and Light Sources. When a Fiberscope is connected with a CCD Camera it can display images externally like on a PC. The light sources for Fiberscopes are available in Solarc, LED, Halogen, and Xenon. Previous articleDoes GBWhatsApp For Android Have More Features than WhatsApp? Next articleBest 5 Music Streaming Apps For Android That’ll Rock Your World!